A bronze vessel of rounded bowl form, supported on a short, splayed foot. The body is cast with two protuberant handles, each in the form of a lion’s head. Around the neck is a ribbon-like band of four stylised birds, two on each side, facing each other. The rest of the band is filled in with a continuous scrolling key-fret pattern, which is repeated around the foot. 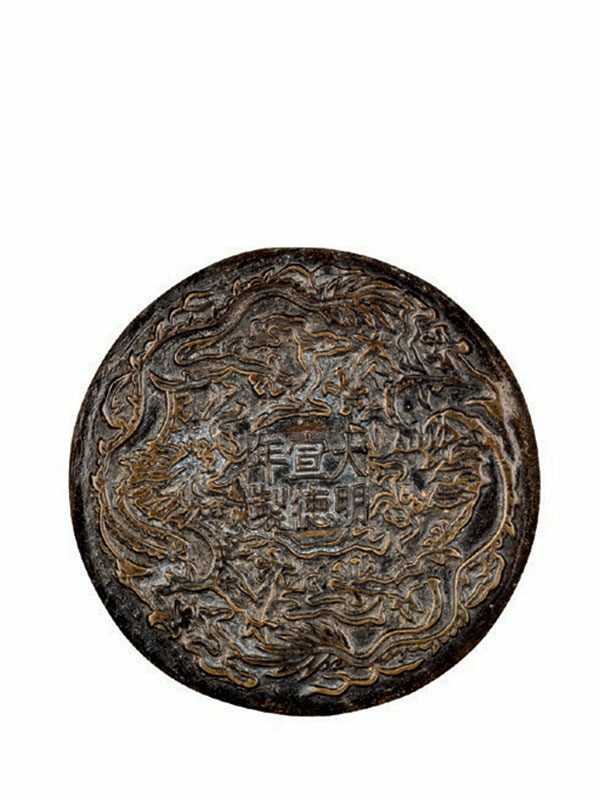 The recessed base is cast with a six-character mark Da Ming Xuan De Nian Zhi (‘made in the Xuande era of the Great Ming’) in a rectangle, which is surrounded by two five-clawed dragons in relief. The bronze has a predominately yellowish patina, with some darker areas. Incense burners of this type are normally placed on an altar table during a religious ceremony. The shape, originally derived from a late Shang or early Zhou bronze vessel form called gui, represents the archaism of the later dynasties. Although the dating of this type of censer is challenging, together with the apocryphal Xuande (1426 – 1435) reign mark, the stylistic indicators here point out that it is of the Qing dynasty. 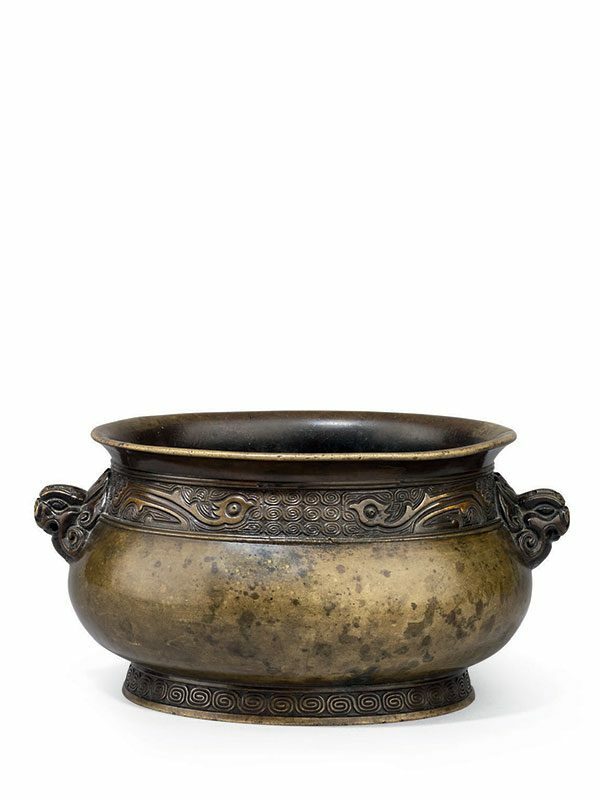 A closely comparable bronze censer of gui type with the same six-character apocryphal Xuande mark, slightly smaller in size and partially gilded on the pattern, is in the collection of Steven Hung and Lindy Chern.